The nursing care needs to be optimally effective in order to be addressing the care needs of the patients efficiently. However, the care needs of the different patients are different, and hence, it is crucial for the care interventions to also be individualized for each of the patients. On a more elaborative note, even though the patients are exhibiting similar symptoms, the pathophysiology and underlying cause behind the care interventions can be very different from each other, and hence, it is imperative for the nurses to understand the difference in the pathophysiology of the similar symptoms expressed by the different patients. This essay will attempt to compare and contrast the difference in symptoms and its corresponding reasons to implement monitor adequate care interventions based on the chosen problem of pain. It has to be mentioned that clinical reasoning cycle provides a systematic framework for the nurses to collect and interpret assessment data along with processing them and arriving at a verdict regarding priority nursing problems of the patient (Dalton, Gee & Levett-Jones, 2015). In the case the processing of the assessment data can provide significant insight to the similarities and differences in the cases of both Anna and George. The first case study selected for this comparison is of Anna Hayes, who is a 4 year old girl admitted to the facility complaining of pain. The assessment data for the patient indicates history of vomiting and diarrhoea along with abdominal pain. The current medication indicates that the patient had been administered paracetamol suppository and oral syrup in every hours. Although her abdominal pain has not completely subsided even after the medication administration. Her pain score is 6/10 which is considered to be moderate pain bordering on becoming severe (Joseph & Godwin, 2016). The results of her vital sign assessment indicates temperature 38.2 0 C, BP 88/50, HR 118, R 22, SpO2 98% on room air, Weight 16kg. The consciousness assessment data reveals the fact that Anna is drowsy, yet rousable and starts to cry when she is awaken, possibly due to the pain and discomfort that she is feeling due to her symptoms. According to the signs and symptoms that Anna has been exhibiting it is clear that she had been suffering from viral gastroenteritis. As mentioned by Corcoran, Van Well and Van Loo (2014), viral gastroenteritis is associated with clinical manifestations including watery stools, nausea and vomiting and moderate to severe abdominal cramps, all of which had been experienced by Anna as well. Anna also had mild fever which can be the innate response of her body to the intestinal infection. The hypotension at 88/52 BP that she had been suffering from can be due to the extreme watery stools, vomiting and fever which also has disrupted the electrolyte balance of the body leading to a drop in oxygen availability of the body. This is also the factor contributing to high respiratory rate and high heart rate compensating for the disrupted oxygen availability of the body. On the other hand, the next patient in comparison is the George McAdams who had been suffering from GORD or the gastro-oesophageal reflux disease. George also had very similar symptoms of vomiting and diarrhoea. The priority problem for him has as well been abdominal pain. However, his condition and the pathophysiology if the clinical manifestations had been very different to that of Anna. He is a frail, 85 year old man who had past medical history of GORD (Garg & Gurusamy, 2015). GORD is gastro-oesophageal reflux disease which leads to various abdominal complications. His vitals include Temperature 38.2 C, HR 108 (irregular), BP 105/60, RR 22, and SpO 2 99%. Although, the patient in this case had been experiencing symptoms that suggests viral gastroenteritis, acid reflux has been also reported to cause vomiting and diarrhoea and well. As mentioned by the Kang et al. (2018), the acid reflux causes considerable damage to the intestinal muscles which in turn loses some degree of its functionality which eventually leads to stool incontinence and abdominal cramps. Along with that, in GORD, the lining separating the stomach and oesophagus is destroyed which leads to food, fluid mixed with stomach acids to back up in the oesophagus and into the mouth of the patient due to poorly functioning LES. Hence, although the symptoms of both the case studies have been similar, the pathophysiology in Anna’s case differed from that of George. As per the clinical reasoning cycle, after the step of processing assessment information and identifying the priority care needs, the next most possible step is setting achievable goals for the patients (Dalton, Gee & Levett-Jones, 2015). The importance of establishing achievable goals for the patients has also been illustrated in the standards of the registered nurse practice standards by NMBA (Nursingmidwiferyboard.gov.au, 2018). According to the 5th standard, the nurses are also required to utilize the assessment data to develop a plan and establish goals collaboratively with the patient. In this case, the priority problem selected for both of the case studies is abdominal pain, the goal will be set taking the assistance of the SMART goal framework. For Anna the SMART goal will be to decrease the abdominal pain from 6 out of 10 to 2 out of 10 within the next 24 hours with the help of fluid therapy and 240 mg paracetamol as per the weight of the patient (16 kg) twice in a day and relaxation based meditation techniques as alternative pain management intervention. Oral paracetamol after being absorbed by the gut will release analgesic effect that lasts for 4-6 hours which will help in relieving the pain felt. The intervention of relaxation technique and meditation interventions such as breathing exercises will distract the patient and will help in better pain management. For George, the care plan will be to reduce the pain felt by thee patient from 6/10b to 2/10 within the next 24 hours by the administration of Tylenol or acetaminophen which will help in reducing the abdominal cramping pain felt by George with acupuncture as an alternative management of pain. The chosen issue for the case study is pain relationship management for both the cases, however the intervention approach will differ slightly in case of both of the patients depending on the condition and its pathophysiology. For Anna, the first nurse initiated intervention will be administration of the paracetamol with the eight adjusted dosage for Anna, taking into consideration her age and her weight significantly. 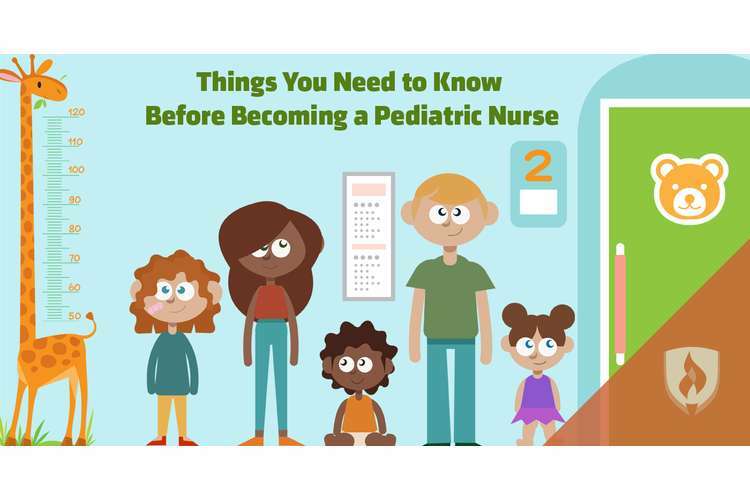 It is very important for the nurse to take into consider the fact that dosage calculation and administration details must adhere to the safe practice guidelines in order to ensure optimal safety of the child (Star & Choonara, 2015). The rationale for paracetamol administration for Anna is the fact that it is a non-opioid based analgesic which has least side effects, hence it is by far the safest medication to be given to the children. Along with that, the safest protocol to administer paracetamol to children is to adjust dose with the weight of the child, hence giving weight adjusted dose of paracetamol to Anna is a best practice intervention. The second intervention will be to implement is meditation and relaxation therapy. As rationale for this choice, meditation and relaxation has emerged as a very common and abundantly used technique for pain management, especially in children patients. Along with that, in contrast of acupuncture which was chosen for George, which is an invasive, critical and complex procedure involving needles. Such intervention techniques can scare and irritate the child which can lead to further complications. Contrastingly, the relaxation session with meditation and breathing exercise is a much safer and easy to implement alternative for Anna (Fisher, Law, Palermo & Eccleston, 2015). On the other hand for George, although the interventions chosen are similar but will need to be modified with respect to his care needs and his age. First and foremost, as his symptoms are aggravated by GORD, the choice of analgesic for him will be Tylenol, as the first nurse initiated intervention to achieve the goals. As discussed by the Kiguli et al. (2014), Tylenol is also a non-opioid based analgesic, being a NSAID drug as well, it is safe to be used for patients that are above the age of 60. Along with that, acid reflux already has a significant impact on the stomach making it more sensitive, Tylenol has no irritable impact on the stomach. Hence, Tylenol with dose adjusted for his age was given to him (Lanata et al., 2013). The second intervention will be to implement is acupuncture with the collaboration from alternative medicine expert. As rationale for this choice, acupuncture has emerged as a very common and abundantly used technique for pain management, especially in elderly patients with back pain, headaches and stomach aches. This is an effective and safe alternative therapy for pain for children, hence, it can be of good use for George (Çevik, An?l & ? ?eri, 2015). The evaluation indicator for pain for both of the patient will be pain score assessment periodically and frequently. In case of Anna, FLACC scale can be used and in case of George, PQRST scale can be used. For non-pharmacological pain management, the evaluation indicator will be to check the facial expression of the patient and hacking whether they are calming down. In this case however, the indicators for both of them will be similar (Reddy, Weinberg & Young, 2016). This case study provided ample opportunity for me to implement NMBA nursing standards and clinical reasoning cycle in the practice scenario. Along with that this case study assignment also gave me the opportunity to explore the difference in pathophysiology of different patients and their care needs and differentiate the care interventions that are applicable for Anna’s case and George’s case. It can be hoped that this experience will help me improve the practice. 17. Star, K., & Choonara, I. (2015). How safe is paracetamol?. Retrieved from https://adc.bmj.com/content/100/1/73.short.